Recent work suggests that women are more responsive to negative feedback than men in certain environments. We examine whether negative feedback in the form of relatively low grades in major-related classes explains gender differences in the final majors undergraduates choose. Read more here. Three professors from Georgetown University’s McDonough School of Business monitored this “social enterprise supplier model” over 23 months and evaluated whether ADC’s employment experience has provided vital resources for the artisans to flourish economically, socially, and psychologically. 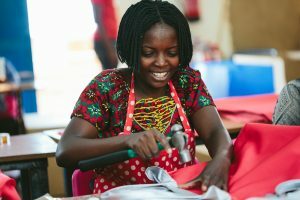 In May 2017, they issued a report, “A Social Enterprise Link in the Fashion Industry Value Chain Performance and Potential of a New Supplier Model.” They found that ADC provides a genuinely empowering employment experience because it pays a basic needs wage, maintains a robust employee assistance and development program, and provides advancement opportunities. Artisans have significantly increased their spending both on consumption necessities, like food, and investments for the future, such as shelter. Read more here. Dr. Cathy Tinsley shared insights on “Negotiating for Maximum Impact” at the Morgan Stanley Mid-Atlantic Women’s Financial Advisor Forum this past week. She was joined by Lisa Cregan, a Managing and Regional Director of the Mid-Atlantic Region at Morgan Stanley, as well as a double Hoya. 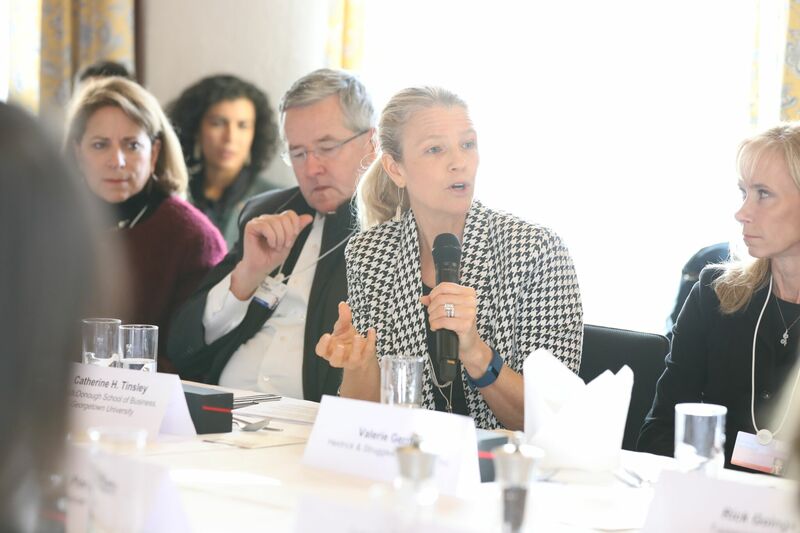 McDonough School of Business professor and Academic Director of the Georgetown University Women’s Leadership Institute Catherine Tinsley attended the 47th Annual World Economic Forum meeting in Davos, Switzerland. Tinsley addressed a group of business executives and policy makers at a luncheon session, highlighting her empirical research with Tupperware Brands that explores ways companies can activate women’s self-confidence and how self-confidence affects women’s economic advancement across the globe. Read more here.